This event will see Downtown Raleigh transformed into "the Epicenter of Womens Soccer", as it hosts the Local Launch of the Women's International Champions Cup and Celebration of the NC Courage. The DRA & RSG, owner/operator of the Women's ICC will together with the NC Courage hold the event at Union Station Plaza, Apr. 25, 5:50p.m.- 7:30p.m. This will be the official Launch of the Women's ICC & double as a celebration of the defending NWSL & ICC champs, NC Courage. A tremendous send off for those from the Courage heading out to compete in the FIFA World Cup. Late last month, Curt Johnson Pres. 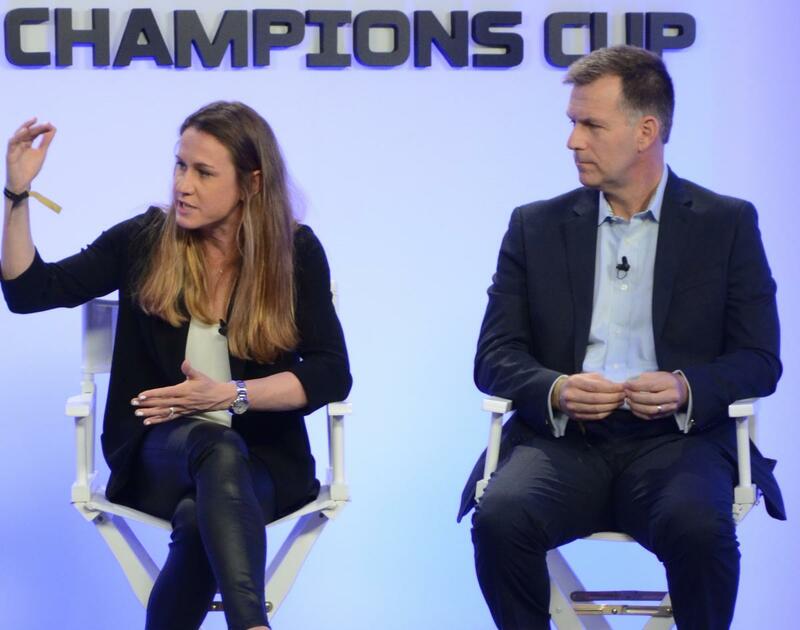 & GM of the team was on a panel in NYC at an ICC event along side Heather O'Rielly. Curt had this to say, "We are very grateful to DRA and Relvent Sports Group for hosting this event to celebrate our North Carolina Courage. Local personality, Lynda Loveland will serve as hostess and all of the Courage will be in attendance. A high level of fan interaction will be on during the event, games, autographs and food from The Pit & Morgan Street Food Hall will be available as well. Bill King, Pres/CEO of the DRA stated, "We are excited to welcome the NC Courage, the ICC and soccer fans across the region to this beautiful new plaza at Union Station." All this is well in advance of the Women's ICC on the Triangle Aug. 15-18, as the 2nd iteration of the Cup will take place at Sahlen's Stadium, Wake Med Soccer Park. The NC Courage will look to take the title again facing Atletico Madid, Manchester City & Olympique Lyonnais. Charlie Stillitano had this to say, "Raleigh is a city that is passionate about soccer & passionate about the North Carolina Courage." NC Courage player Heather 'Rielly & Pres/GM Curt Johnson in NYC.